Chat now with millions of people nearby or around the world, make new friends, be social, flirt, play games and more, all free. 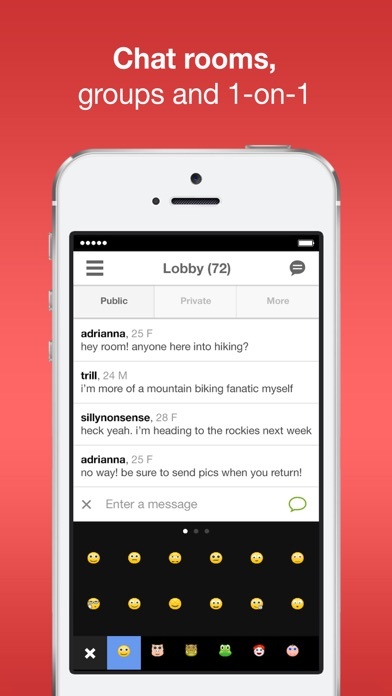 • Chat - hundreds of chat rooms and forums, private and group chats, including video calls and voice messages. 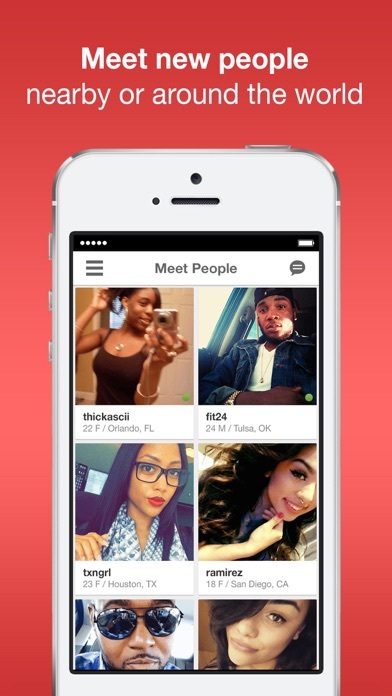 • Meet people nearby or around the world and make new friends. Search by age, gender, location, sexual preference including gays and lesbians and more. • Customize messages with stickers, emoticons, themes, colors and fonts. • Meet new people playing free multiplayer and social games, including MatchMe and Street Wars. ** As Seen on MTV's Catfish! ** ** USA Today - "MocoSpace has emerged as a favorite in the U.S." ** ** Google Top 10 trending social media site ** MocoSpace is the largest social network of African Americans and Hispanics / Latinos in the world! The deception is so real...how those images appear in the App Store is what needs to be reflected once you’ve downloaded the app and created your profile. Just saying. Thanks. Nice way make friends and socialize.